A stark warning was offered to delegates attending the Business Economic Indaba on Tuesday where president of the Business Unity South Africa (BUSA) Sipho Pityana said the “the level of inequality in our country is now an economic risk”. 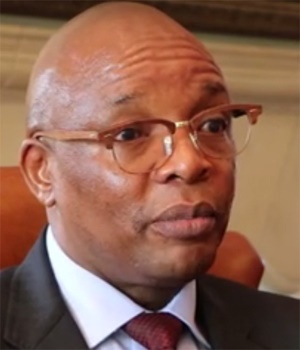 “Given the waves of discontent pulsing through our country, exemplified through violent service delivery protests, it is clear that a substantial part of our society has, understandably, become embittered not only with the excesses in our political system, but also with those who hold economic power,” Pityana said during his opening address. 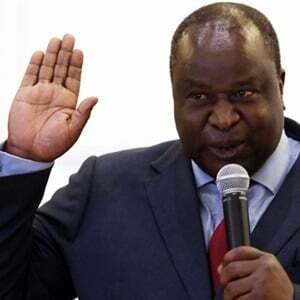 The indaba in Midrand, is attended by several cabinet ministers in the economic cluster, business leaders and will be addressed by President Cyril Ramaphosa on Tuesday afternoon. It aims to look at the promises made by government and business at the jobs and investment summits in October 2018 and look at further ways to advance their partnership. Pityana emphasised that transformation of the economy into an inclusive one is a key imperative, adding, “there can be no higher priority”. “This is more so given the prognosis that South Africa’s economic growth will remain tepid this year, with high unemployment, while sluggish credit growth, which accounts for roughly two thirds of our GDP, will weigh on private consumption,” Pityana said. The economy is expected to grow at 1.3% in 2019, according to the World Bank, far below emerging market peers and other countries in sub-Saharan Africa. “Weak economic growth will act as a headwind to fiscal revenues, thereby limiting the Government’s ability to render adequate public services, particularly in the education, health and social welfare areas,” Pityana warned. Pityana, a vocal critic of former President Jacob Zuma echoed President Cyril Ramaphosa’s “nine lost years” at the World Economic Forum in Davos last week. “If we use this opportunity wisely, those years will be a forgotten past. While we will never get back the lost years – we must be spurred on, to make up for the lost time, and to ensure that we get our economy, our democracy and our wonderful country back on track,” Pityana said. He added the new partnership framework between social partners should focus on five areas: equipping people with the means to earn a decent living, ability to develop new ideas and invest more in Research and Development, Infrastructure to support long-term productivity, and tax. Business leaders from several sectors spoke at a panel discussion sharing ideas on how they can contribute to inclusive growth in the economy. President and CEO of Toyota SA Andrew Kirby said the automotive sector has tremendous scope for growth but the industry has been subdued due to lack of economic growth. Dr John Purchase, CEO of Agbiz emphasised the need for secure property rights for the agricultural sector. Webster Mfebe, CEO of South African Forum of Civil Engineering Contractors said the construction industry is able to ensure mass employment but it has been in the “doldrums” in recent years as government cuts back on infrastructure spend. Social partners at the Jobs and Investment Summits in October committed to creating an extra 275 000 employment positions annually, above the 300 000 the economy usually creates and R290bn in investment.